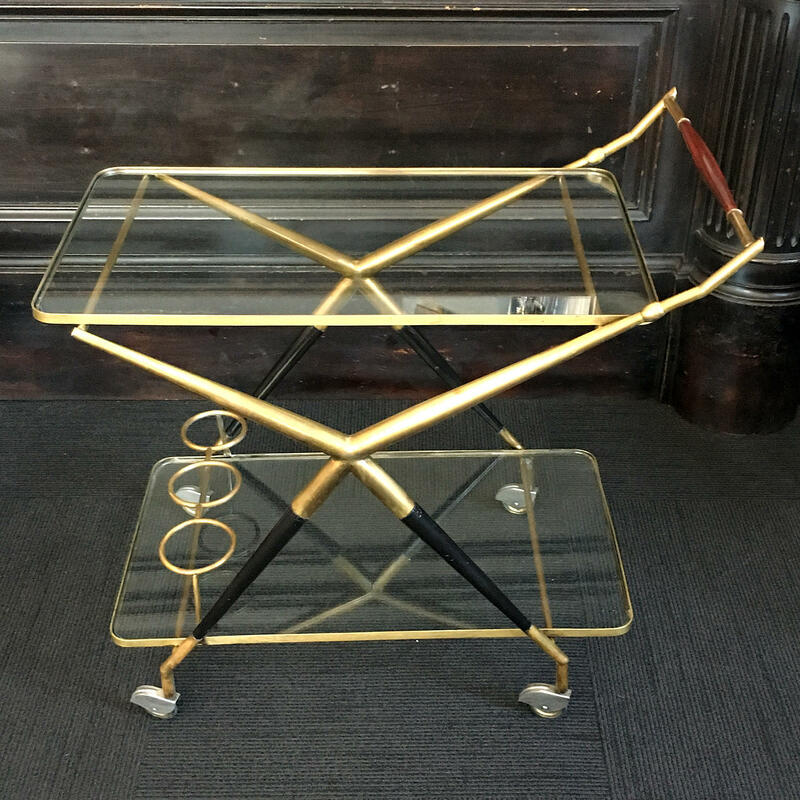 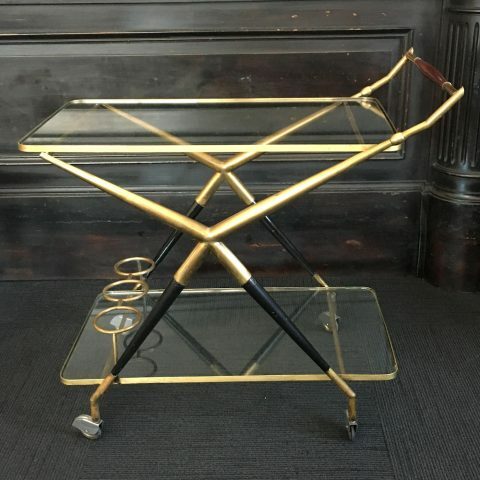 Italian 1950s mid century bar cart or cocktail trolley by Cesare Lacca. 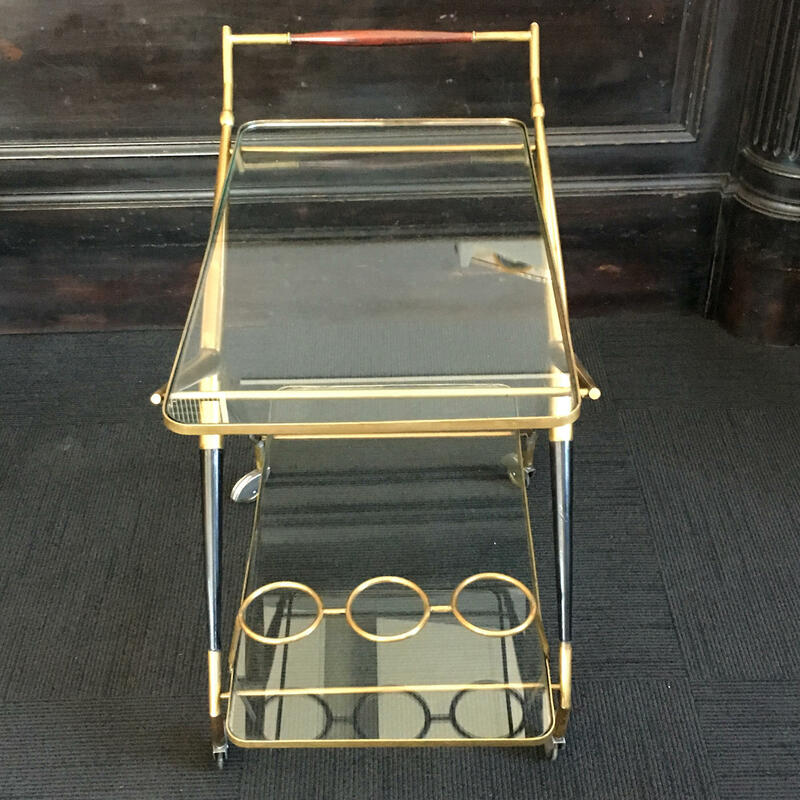 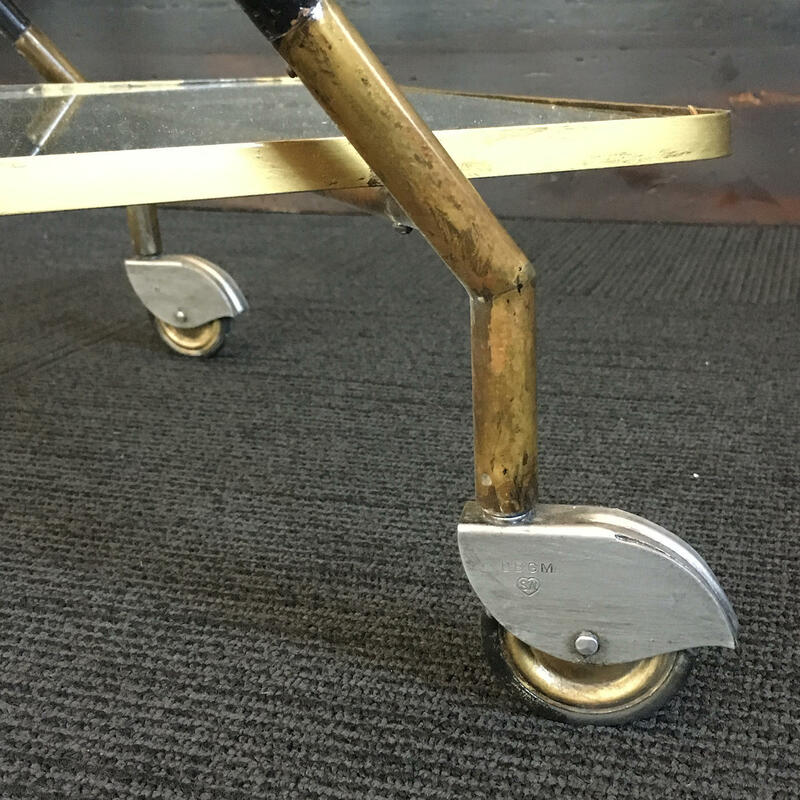 This Italian designer made numerous versions of this bar cart. 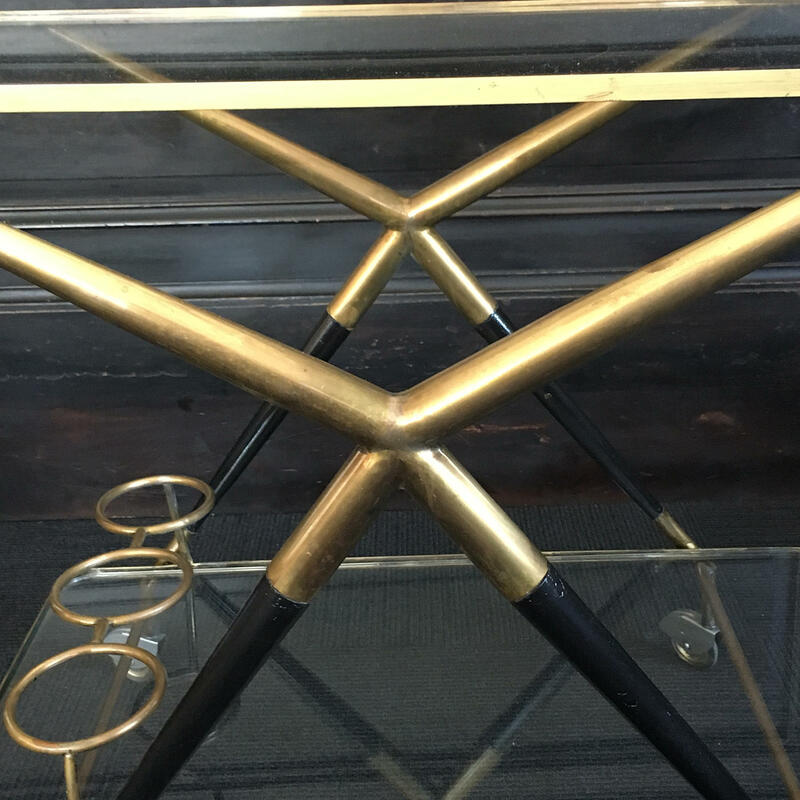 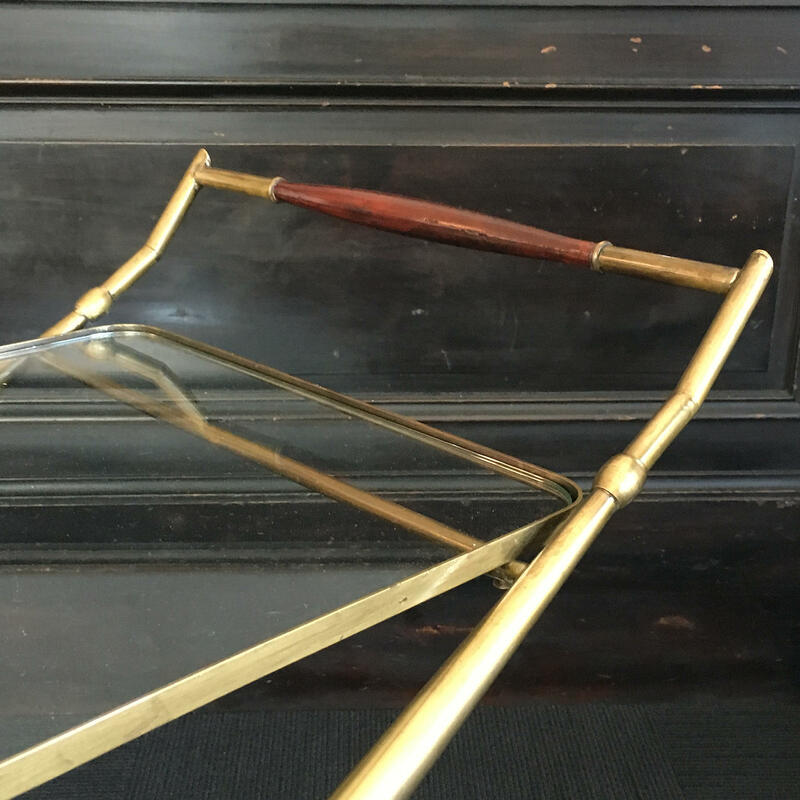 A handsome combination of brass and wood it has simple lines and is extremely elegant. 64cm High, 46cm Wide, 79cm Long.